Darren Aronofsky, director of Mother! and executive producer of the new National Geographic documentary series One Strange Rock, loves Pi Day. Every year on March 14, partially in honor of his first film Pi, he hosts a contest on social media to find the best math pun. The mood this year, however, was far more solemn: Legendary physicist Stephen Hawking — who inspired much of Aronofsky’s new series — passed away early on Wednesday, the same day that One Strange Rock was set to premiere in New York City. Aronofsky was distraught. “I heard the news, and it just seemed crazy because the show is so inherited from his trailblazing. And that we’re doing the premiere today. And Pi Day. It didn’t seem real for a while — I was upset,” said an emotional Aronofsky at a press event for the new series, which is executive produced by Jane Root and Nutopia. In the series, NASA astronauts narrate the story of humanity’s relationship with Earth as they’ve experienced it from space. Aronofsky tells Inverse that he had initially planned to involve Hawking in the series, though those plans fell through; nevertheless, Hawking’s legacy is reflected in every episode of the new show. Darren Aronofsky said his new series "One Strange Rock' is "totally inspired by Stephen Hawking." “It’s really kind of shocking and ironic, on the night of the premiere of this — which is totally inspired by Stephen Hawking — we really wanted him to do the show,” he says. 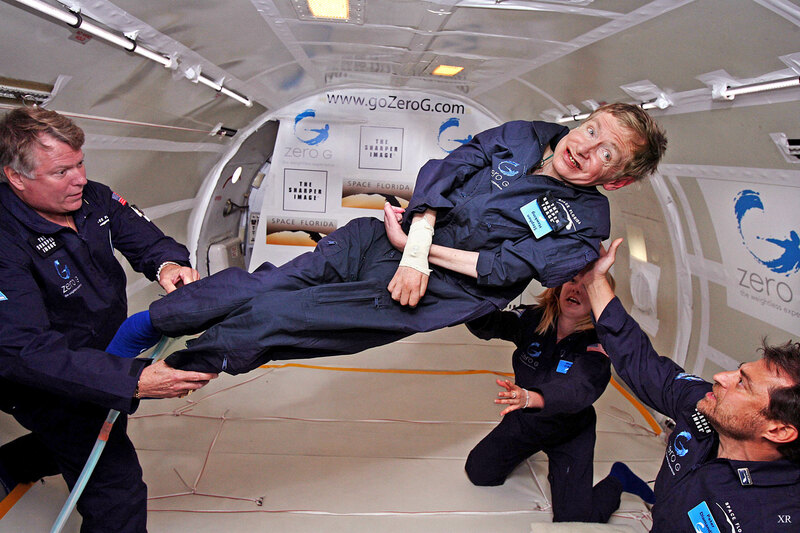 Though Hawking was a visionary physicist and global intellectual leader, but perhaps his most remarkable achievement was his ability to maintain the respect of the general public throughout his decades-long career. HIM: Too many people in the house? You’re being irrational. MOTHER: Well, I am your ins-π-ration after all. The events at the One Strange Rock premiere kicked off with a reading of one of Hawking’s most famous quotes: “Remember to look up at the stars and not down at your feet.” To Aronofsky, it summed up much of what he’s been thinking about while making the new series. One Strange Rock premieres on National Geographic Channel on March 26.